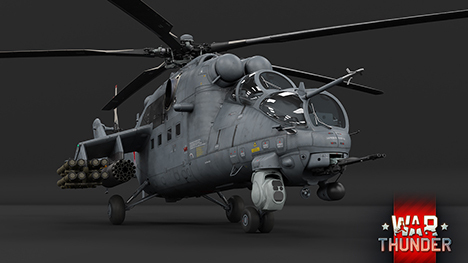 The Mi-35M is a modern utility combat helicopter of the Russian army, the modernized legacy of the iconic “Hind”. 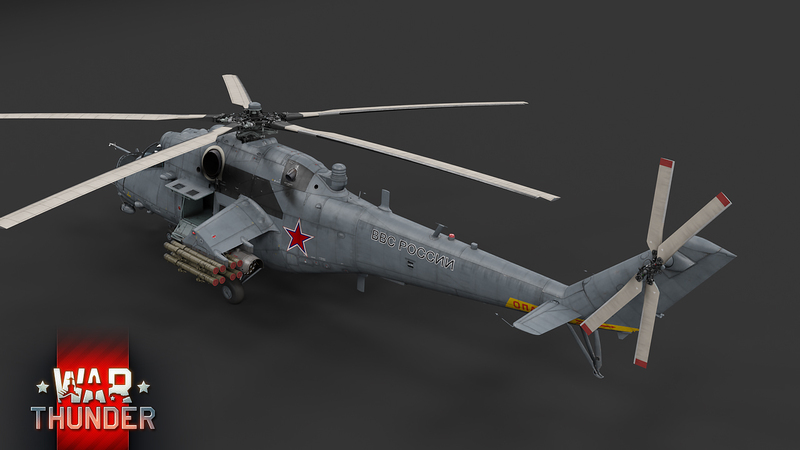 By the time of the War Thunder update 1.81 release, the Mi-35M will be the top of the USSR/Russian helicopter tree. Pilots, who shepherd a herd of previous “Hinds”, will easily master their skills in the Mi-35M - combat basics here are similar. You now have your hands on the most advanced “Hind” available - faster, quipped with much more capable chin-mounted cannons, and the widest variety of combinations of mounted weapon configurations. Two types of ATGMs - “Shturm-V” and “Ataka-V” - available in combinations of 8 or 16 units, S-8 air-to-ground unguided missiles (40 or 80 rockets in combinations), as well as two gunpods with 23-mm double barreled cannons. Only four points for mounting weapons with many combinations! 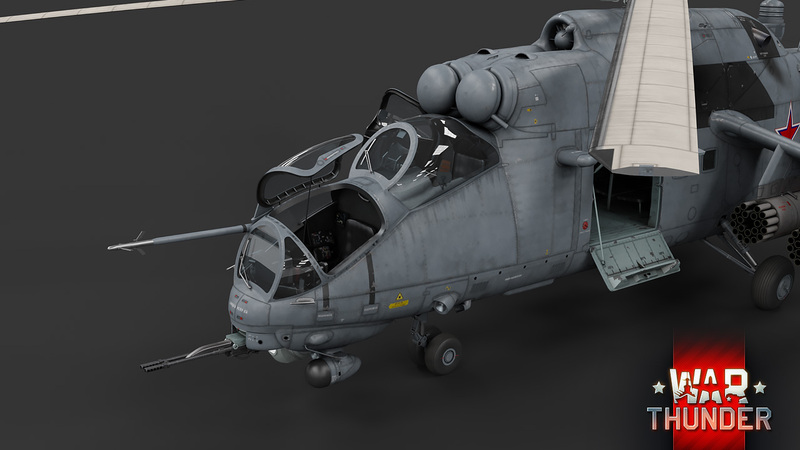 As a result, you are free to tune the Mi-35M to perfectly fit your combat tactics - aggressive fire raids, or long-distance guided shots. The Mi-35M lacks critical flaws, except her size and weight of course. 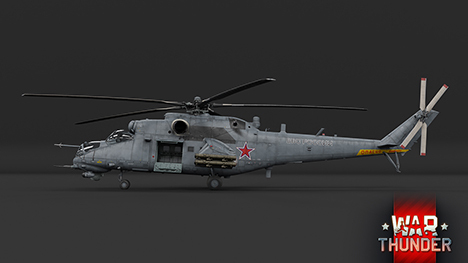 The Mi-35M in Russian Air Forces camo waits your command in War Thunder update 1.81 “The Valkyries”. See you there! What about some Italian planes? You always saying that you got a huge plans with Italian tree, but almost nohing have been added to them since release of theyr tree..
Patience, I would much prefer Gaijin get the models 99% correct. Other wise you might end up with incorrect models such as the Japanese STA-1 & 2. Have you seen those two tanks with their little incorrect turrets? Do you want that for the Italian Forces? For now, play one of the other nations. 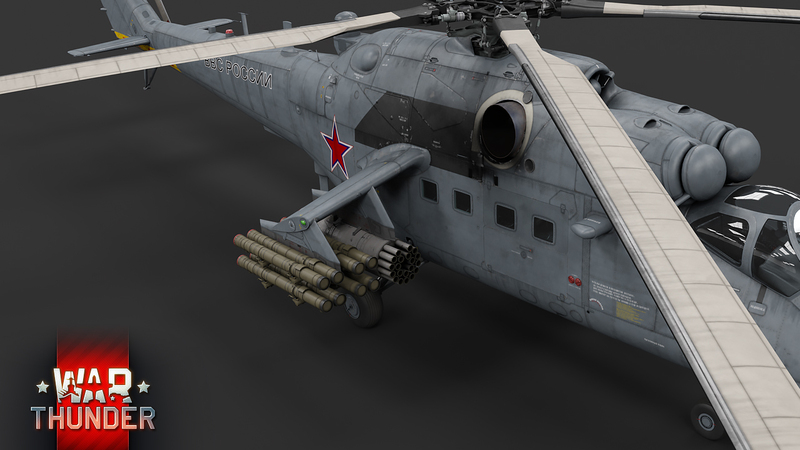 Clockworkreaper, I would prefer to finish theyr current projects and models as well to be finished first before starting new one like choppers. Because ships and World War mod will not finish itself. Not a plane. Not a middle-tier tank. But a 2005 helicopter. Will there be any content for regular players this patch? the helicopters are also for regular players you just access it a bit later. Gonzo12, For regular players. Who have 5th rank of tanks. And shitload of money, because there's no way you can manually research helicopters and modules for them. Only mid tier tank will be Chat 25t, not a single plane unfortunately. Mishaa76, Well, Chat 25t is close to end of the tech tree and also makes no sense. It's beautiful. I didn't know I wanted this. I'd also hope for the RAH-66 Comanche as That thing will be hard AF to hit but can have 6 internal hellfires and 8 with external pylons as well as a 20MM cannon that uses the same ammo as the Vulcan. retract, don't forget about the AH-56 Cheyenne as the fastest and most maneuverable chopper ever! So what? There are hundreds of aircraft already in the game, which is more than the tanks and ships. While I agree that the Italian tree needs to be filled, it's not the most played nation, so it makes sense for them to focus on other nations. As for no aircraft this patch: so what? It's not like we are never again going to see aircraft coming in future patches. So just wait 1 patch, and more aircraft will be added ok? Honestly, air RB whining is 1.81s version of 1.79s "wHerE's mY lEopArD 2a4!? Why mistake ? I think they will not be overpowered and it's something new in game. Now just new modification of mig or sabre..
Outbr3aq, Yeah, gotta love the logic of no one plays Italian so we wont actually make the tree viable... great. If I may vehicle suggestions that would be nice to warthunder. The M1128 Mobile gun system which is essentially a Stryker with 105mm gun or possibly other variants of it into warthunder. And maybe a Lav-25 not enough wheeled tanks in warthunder something for top tier wheelies would be nice!